Buying a home is one of the first financial decisions you and your spouse will make. Since it is a major life decision and purchase, it is best that you take your time. Purchasing a property encompasses a lot more factors than the aesthetics and requires a great deal of input from both parties. Essentially, you want to make sure that you’re selecting a home that you’ll enjoy living in for years. Money matters can deteriorate a marriage faster than anything else. If you want to create a happy home, you must make sure that whichever place you choose is one you can afford. You and your spouse should have a talk about the finances. You should know up front how much you can afford to spend on a house. Review your existing bills and financial obligations and compare it to your income. Based on this information, is a home in your budget? It is intended that you’ll live in your home for years. Therefore, you want to opt for a place that encompasses features that you need and perhaps some that you want. Sit with your partner and discuss your needs and wants. For instance, are you interested in 3 bedrooms or 6? Would you prefer a finished basement, an attic, or both? What location do you want to live in? Does it need to be near transportation? Keep in mind that you might not find everything you want under one roof. While you may find a place with the right number of rooms, two bathrooms, a decent backyard, and near public transportation, it could have a kitchen that needs some TLC. Instead of writing those houses off, the two of you can price the renovation yourself. Companies like Gilmans Kitchens & Baths in San Mateo make it easy for customers to see kitchen and bathroom styles online and get a quote. Before applying for a mortgage pre-approval, it is advised that you do a little online research. Review the real estate market where you intend to move to see what houses are going for in that area. Remember to add in your needs and wants list from above to ensure you’re getting estimate sale prices on compatible properties. Any mortgage company you apply to will want to know how much you need to borrow so a little preparation in advance allows you to clearly state what you’ll need. Typically, before going to visit a home or put in an offer, you need to have a pre-approval notice from a mortgage company. 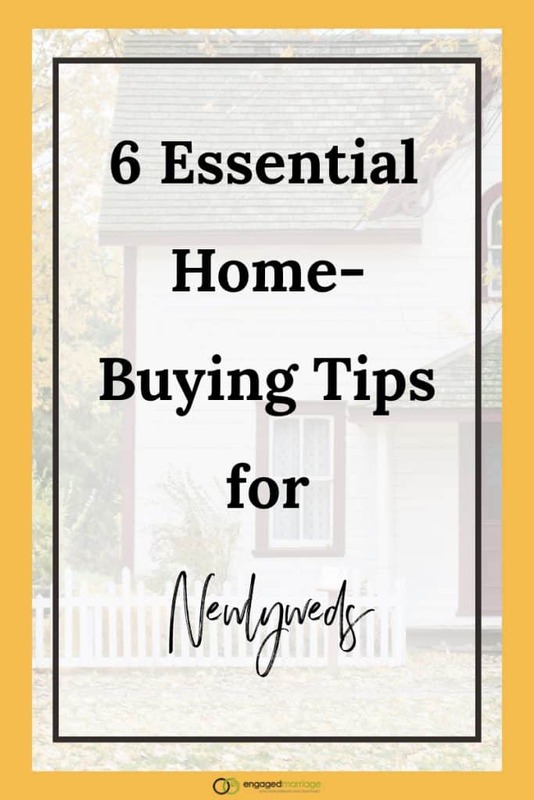 Sellers are only interested in conducting business with individuals who are serious about purchasing a home and if you’ve gone through the initial loan process, this shows your intent. A pre-approval is easy to get and generally just requires both of your financial information. If you’ve been making financial mistakes like keeping secrets about debt or mismanaging money, now is the time to speak up. When the mortgage company runs your credit history all delinquent information will pop up which could prevent you from purchasing the home you’re most interested in. Unless you’ve both purchased homes in the past, hiring a real estate agent is ideal for finding your dream home. Real estate agents are not only skilled in finding the perfect homes for couples, they also know the area and market better and therefore can prove valuable during various phases of the home buying process. Once you’ve found a home that you’re interested in buying, make sure that you have it inspected. A complete home inspection done by a professional will provide you with insight as to what’s going on with the property. They will inspect every inch of the home and make you aware of red flags and improvements that need to be completed. 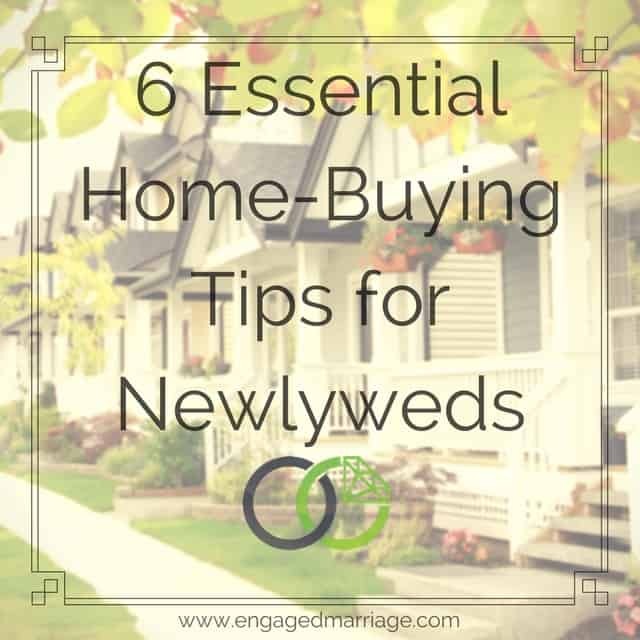 Your home is going to be part of the foundation from which you start your new lives together as a married couple. It is a decision that needs to be taken seriously and reviewed carefully. Be sure to work together as partners to find a home suitable not only for now but one that has the potential to grow with you and your family for years to come.